The Collaborative Center for Literacy Development (CCLD) provides high quality professional development and research on behalf of improved literacy instruction and student achievement from early childhood through adulthood. In order to provide systemic support, CCLD works with early care professionals and educators to develop children’s early language and literacy skills. It supports initiatives that produce highly effective teachers and early care professionals who can facilitate the language and learning skills that guarantee future reading, writing, and school success. These early childhood professionals need to know theories of child development, how to meet the unique and varied needs of individual children, and how to plan a research-based curriculum delivered in an interesting and stimulating environment that contributes to the healthy development of young children. The benefits of such early care and education promote both cognitive and social development, as well as fostering language and literacy from birth to age five. Young children are born with an innate curiosity and an enthusiasm for learning. Despite individual differences present at birth, every young child deserves the opportunity for care and education of the highest quality provided by excellent early childhood educators. To achieve this level of excellence, early childhood professionals need specialized training and education in practices that are most effective in promoting young children’s learning and development, i.e., developmentally appropriate practices. The Early Childhood Kentucky Reading Project (KRP) is a yearlong professional development initiative for birth to age five educators and early care professionals. The premise of the initiative is to create and implement a Learning Action Plan through instruction based on the participant’s teaching environment. 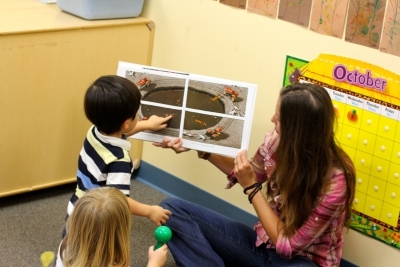 The focus of the instruction is tailored to the participant’s specific needs and includes, but is not limited to, concepts of print, oral language development, early literacy skills, assessment, phonics, phonemic awareness, vocabulary, comprehension, writing, and differentiated instruction. Additional participant benefits include professional development resources and engagement in an active community of practice. Individuals or teams of educators may participate. The delivery format includes an intensive summer institute with follow-up professional development opportunities and coaching visits throughout the year. The Imagination Library Kentucky Project is an enhancement of the Dolly Parton Imagination Library book dissemination endeavor. 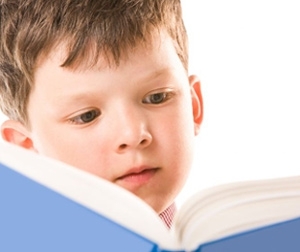 The Kentucky-specific model includes the traditional premise of providing age-appropriate books to children from birth to age five; books are mailed monthly to each registered child’s residence based on funding community partners. The initiative builds on the books through targeted oral language and early literacy skills development through book videos, resources, and professional development/family literacy events.